Here is the way I make laminated key stock. First I find the woods I am going to use. In this tutorial, I am using Bloodwood and Box Elder burl. Note that I already had a piece of Bloodwood cut from stock. Here is a piece of Box Elder scrap I had. I flatten one side. This needs to be done after every cut so you always have one smooth side on the usable piece. 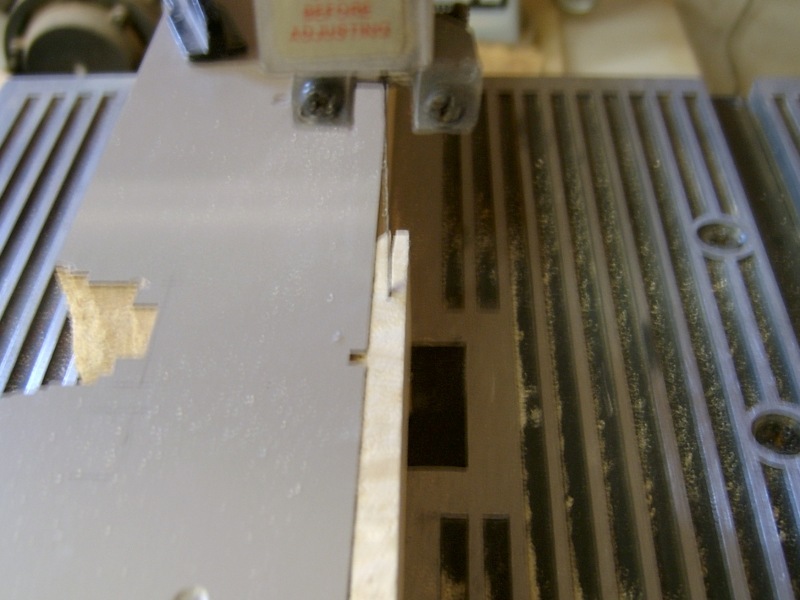 I then rip a piece off that is a minimum thickness of 1/6". Thicker is ok as this will be thickness later. I put a piece of turner’s double back tape at the end of each piece on the smooth side. I then stick them to a piece of MDF. For a 1/8" thick laminate, I set my calipers to 3/64". This will make the laminate just over 1/8" thick. Here I show that it needs to thinned down a bit. I do this with a drum sander. I find a hand-plane is tough for me to use on this thin of material. After many light passes, I have my final thickness. I cut the pieces to roughly the same length. I spread glue on one side of the outer pieces and both sides of the inner piece. I stick them together and lay them on some waxed paper. And put them in my veneer press. Clamping the laminate between a couple of boards will work as well. Here is the rough laminate after coming out of the press. 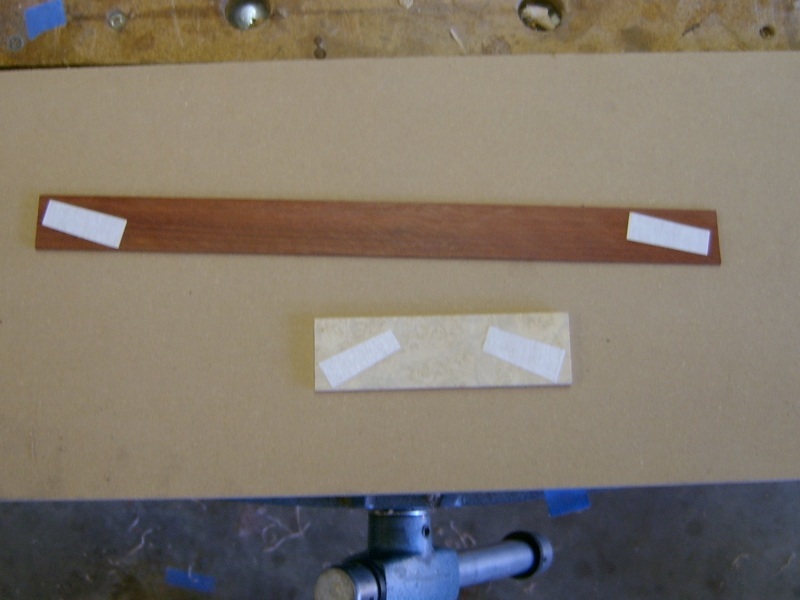 I then cut off the extra and plane the edge straight. I will rip this to the width I need to make the keys and cut triangles off to be inserted into the grooves on the box.